Deep red and black cherry flavours with a hint of smokiness and spice. It's a classic style that matches local recipes perfectly; the brightness balances tomato and spice, while there's intensity for rich meat dishes. Enjoy delicious cherry flavours from this Italian red. Wine of Tuscany, Italy. Suitable for vegetarians and vegans. Produced in the Chianti area of Tuscany, this wine is one of the most prestigious reds from the region. 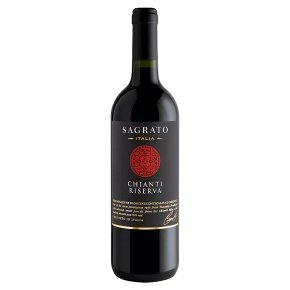 Produced from selected, small parcels of Chianti specially chosen, it gives a rich, full bodied, smooth red wine. It is perfect with pasta dishes, roasted meats and game.